I am knitting a simple top where the front and back are the same. I saw the finished product on a hanger and it looked great. However, upon purchasing the pattern where a real person was wearing it, the middle appeared shorter due to the protrusion of the bust. I hope I’m making sense. Is there a way I can add (short) rows in the middle of the top so that it hangs evenly across the bottom when it is finished and worn? 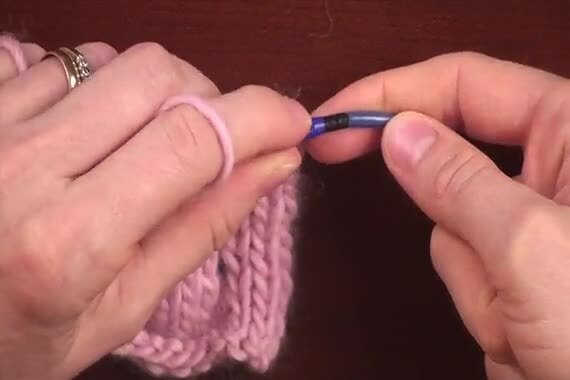 You can shape the bust with short rows and you can extend the lower edge with a few short rows. Is this top knit in the round? What is the name of the pattern and can you give us a link to it? Thank you for the feedback. It is not knit in the round. The pattern is Odeleite and you can find it on Ravelry. I liked it because it was a simple summer top. I saw it knitted up in a yarn shop in NC, but don’t like the way it rides up in the front.when worn. This simple tee is perfect for summer! Front and back are knit separately and seamed, with small, stylish keyholes at the bottom hems. You’ll have to experiment with short rows and how many at the bust (if you need it for your size) and toward the hem but it’ll work. Using a lifeline may help if you have to rip back at any point. Thank you and the video is great. I’m going to try it. Thank you.